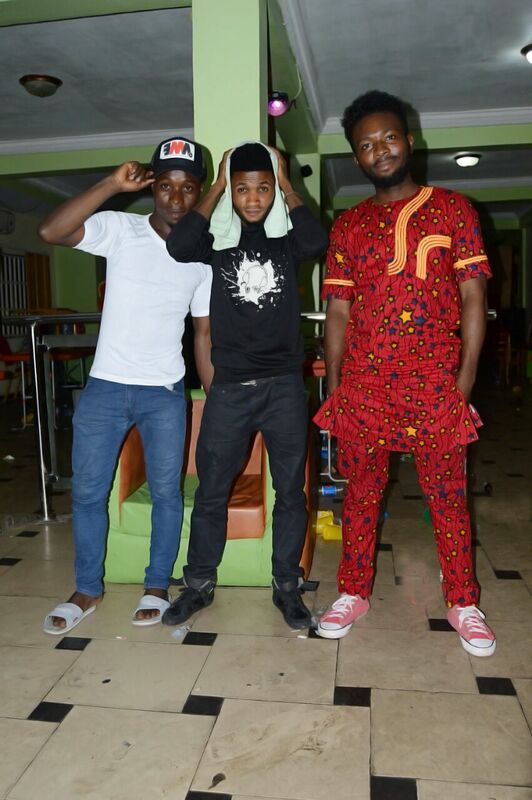 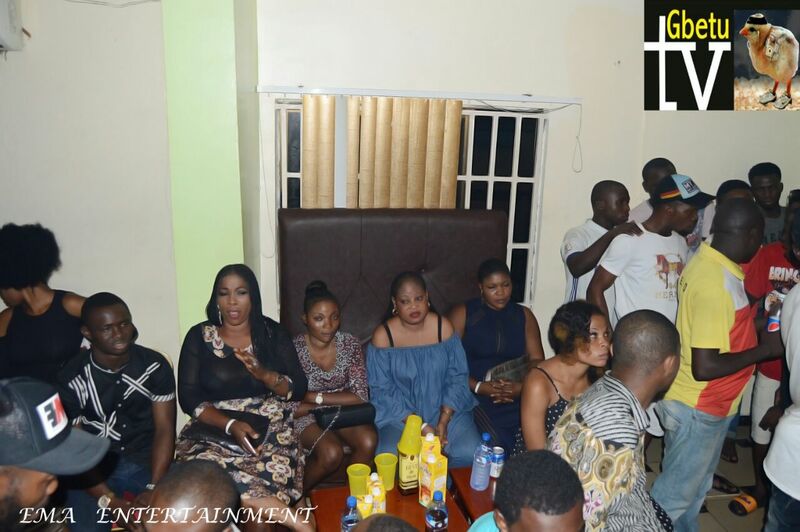 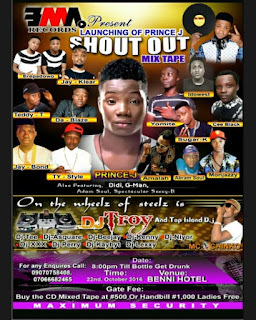 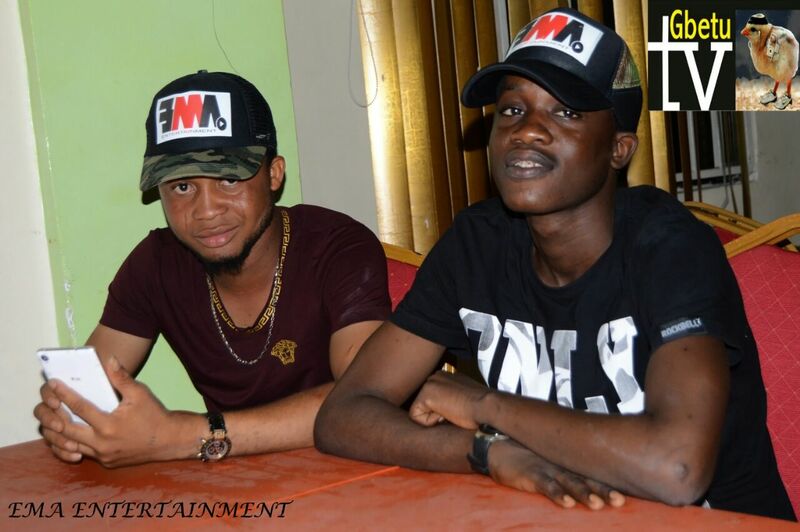 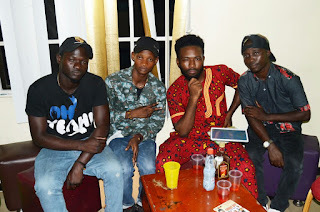 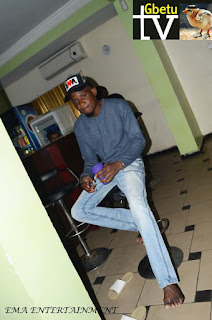 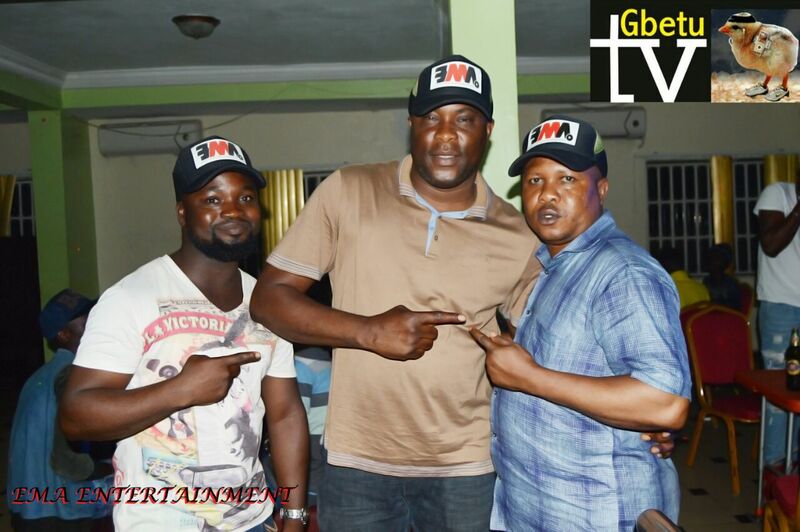 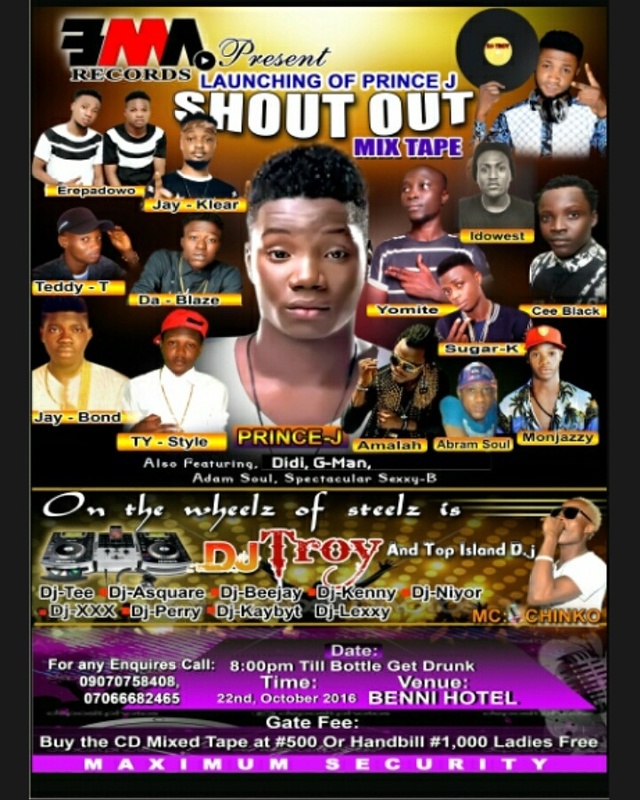 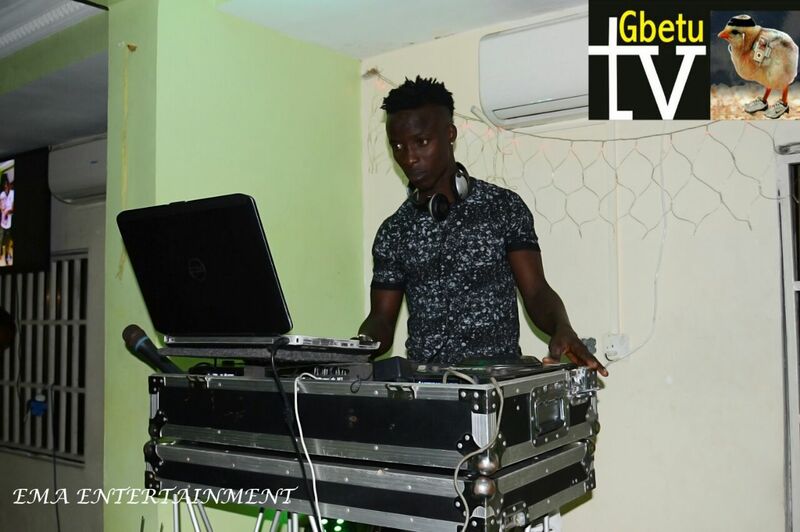 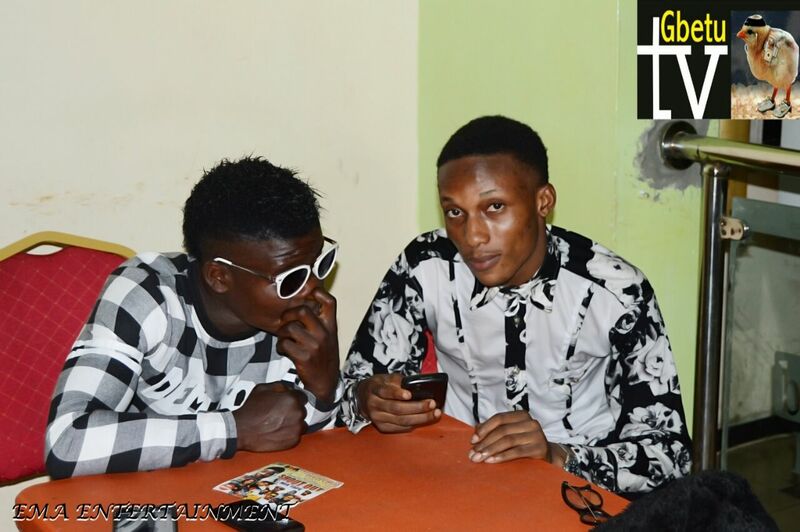 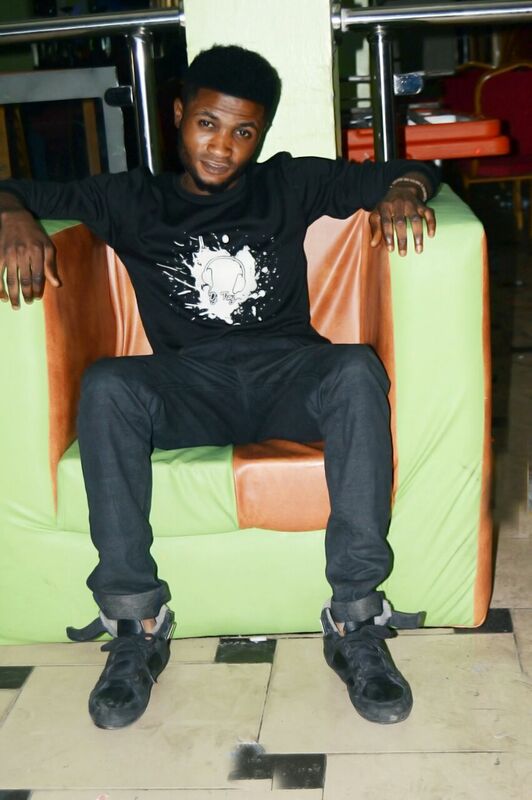 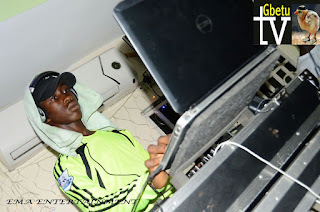 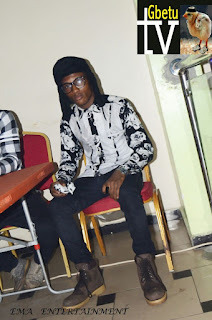 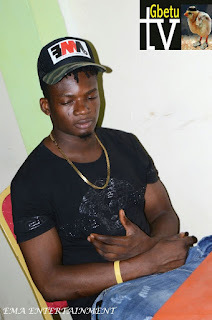 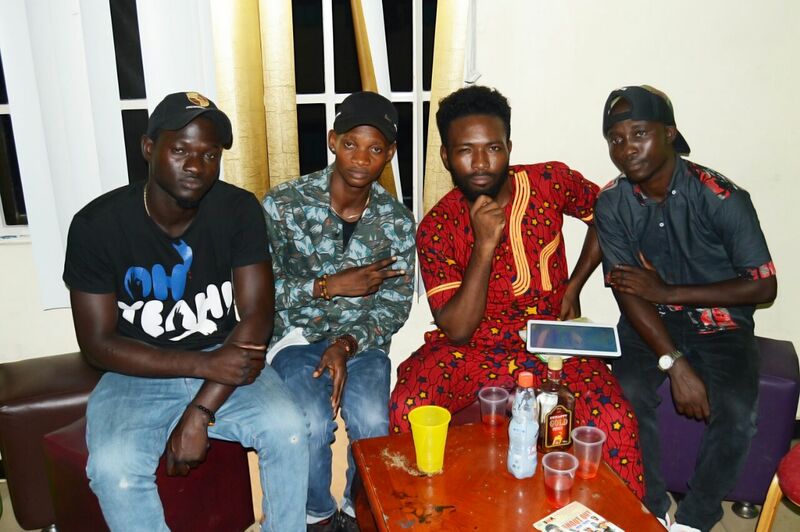 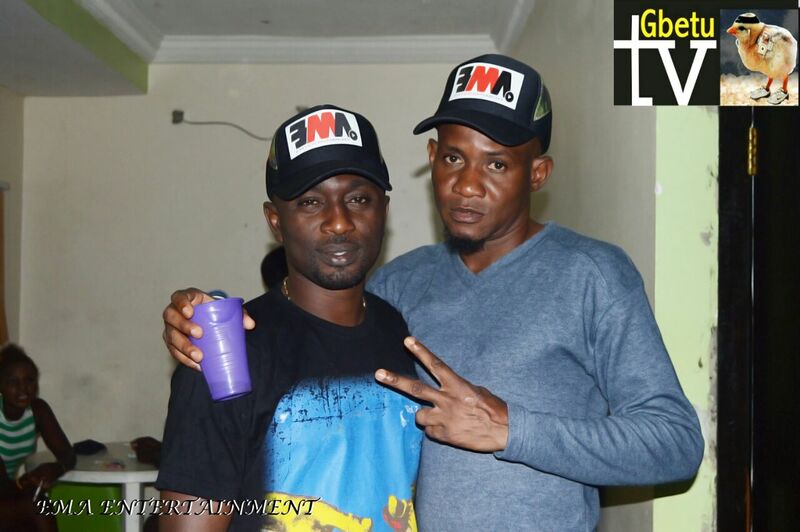 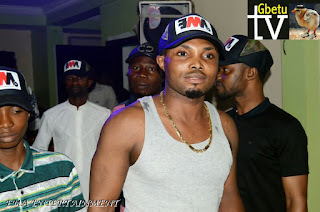 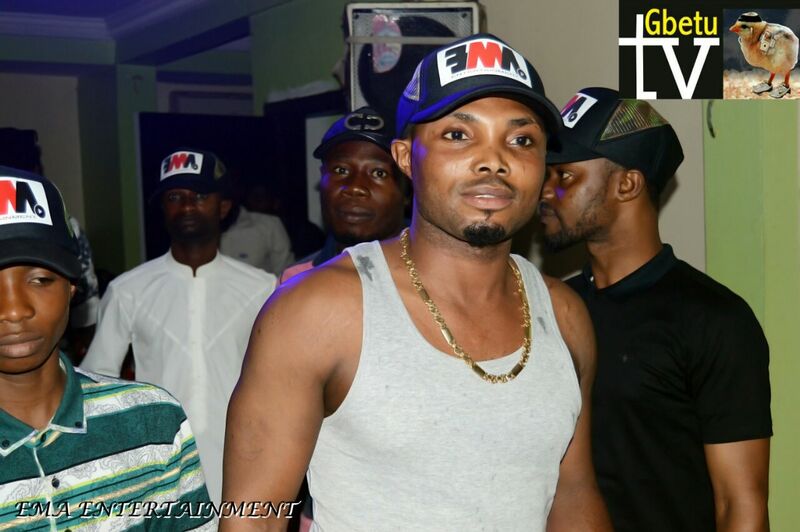 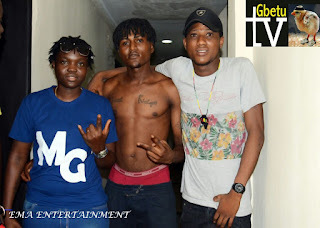 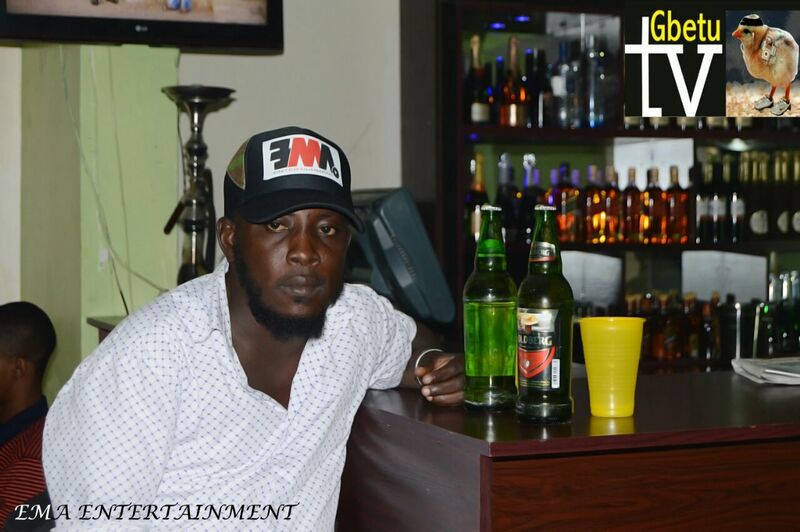 The Benni Hotel located at Lagos Island was filled to capacity as Extreme Music Art (EMA) Entertainment official DJ, Troy, lunches "Prince J Shout Out Mixtape" on the 22nd October, 2016. 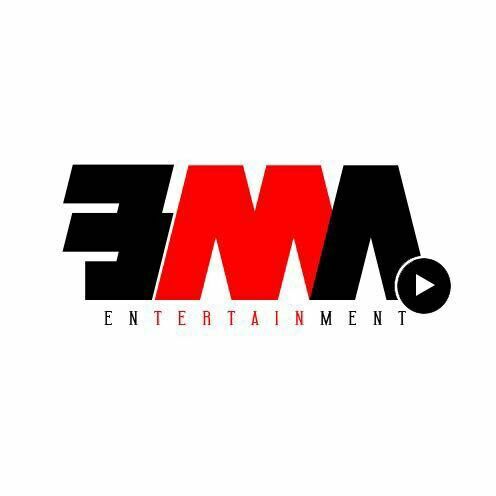 The mixtape which was one of the most buzzed about is to promote EMA's music striker, Prince J and over twenty other artist supporting the train. 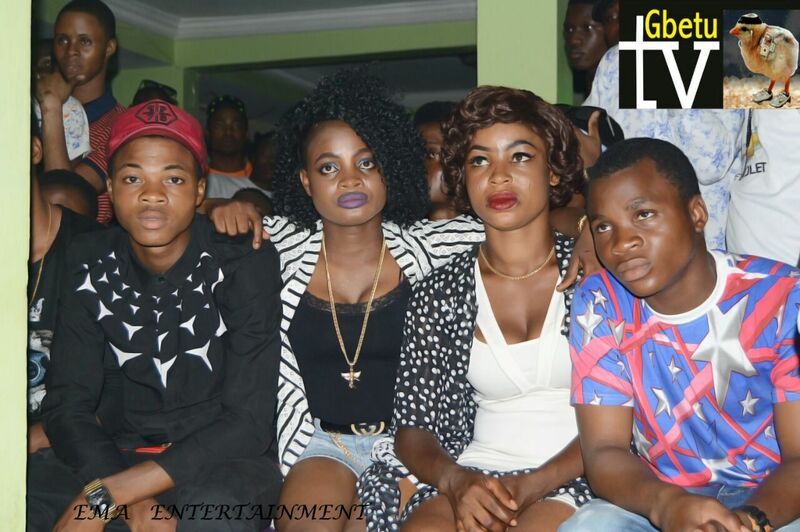 Friends, family and fans also came to support looking very ravishing, mature and interesting. 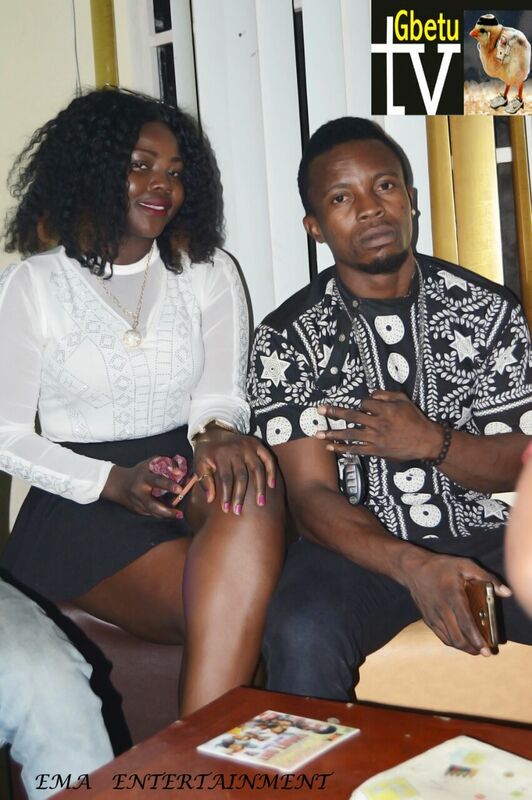 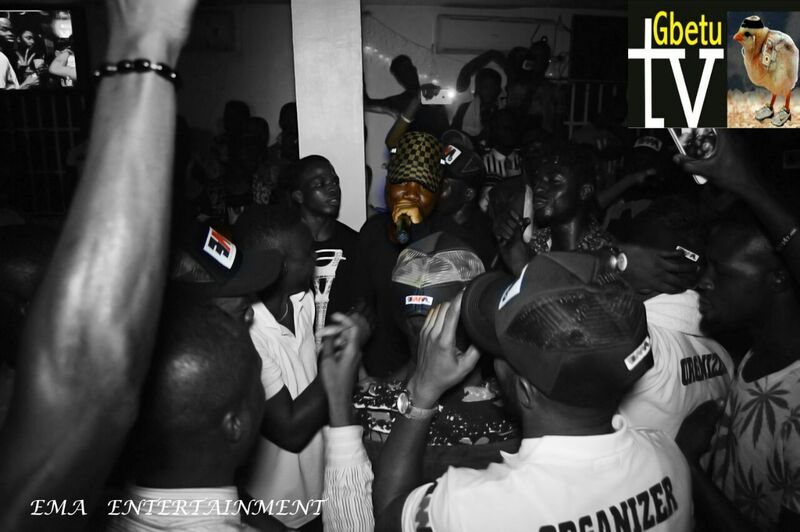 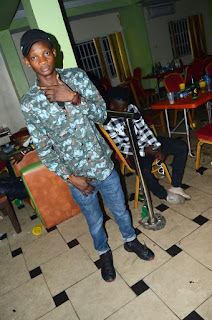 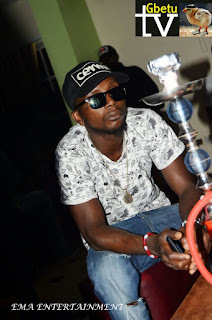 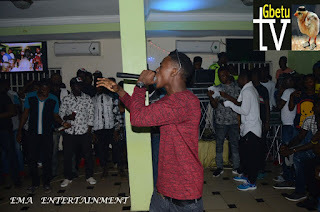 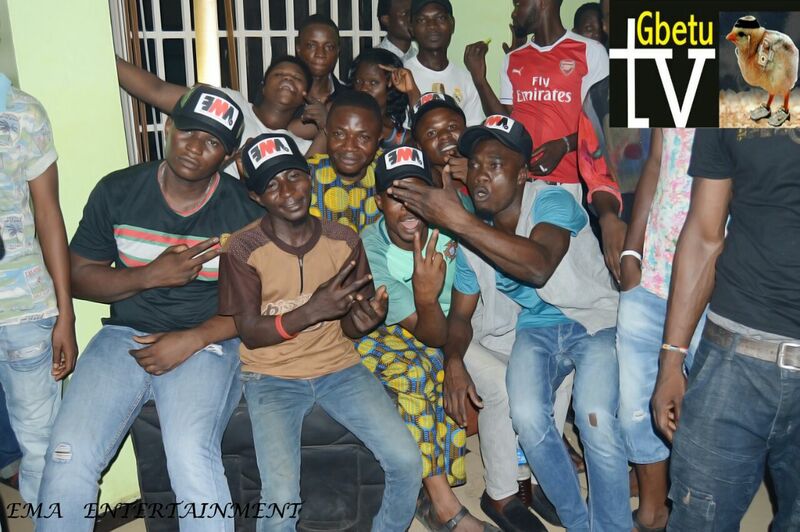 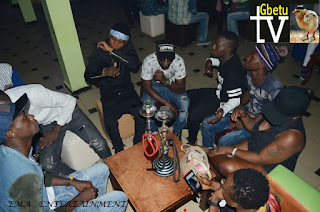 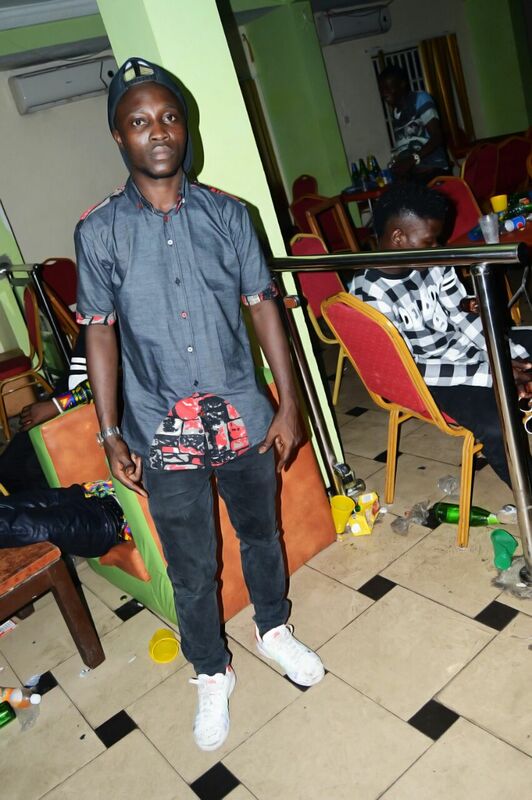 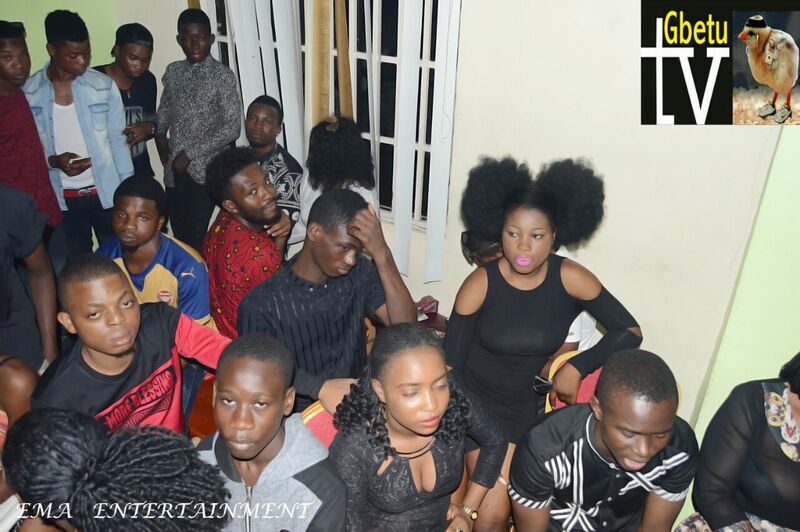 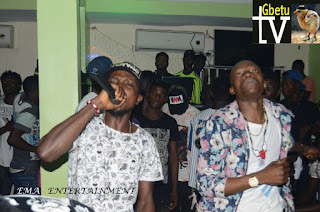 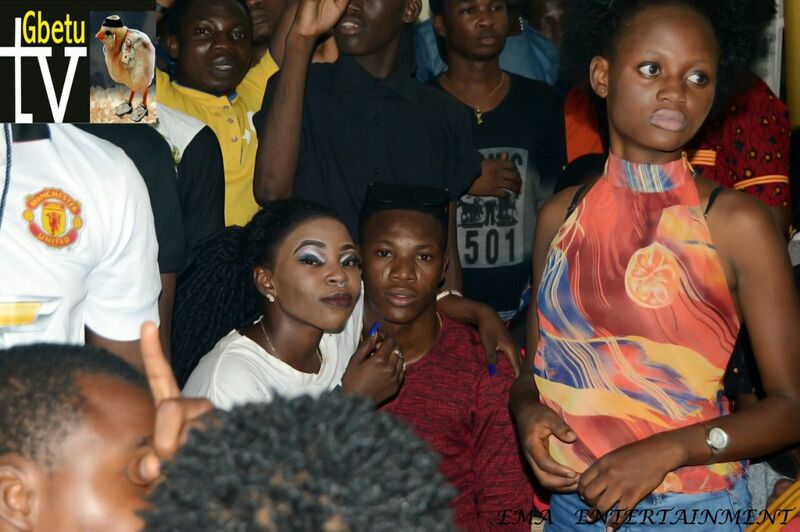 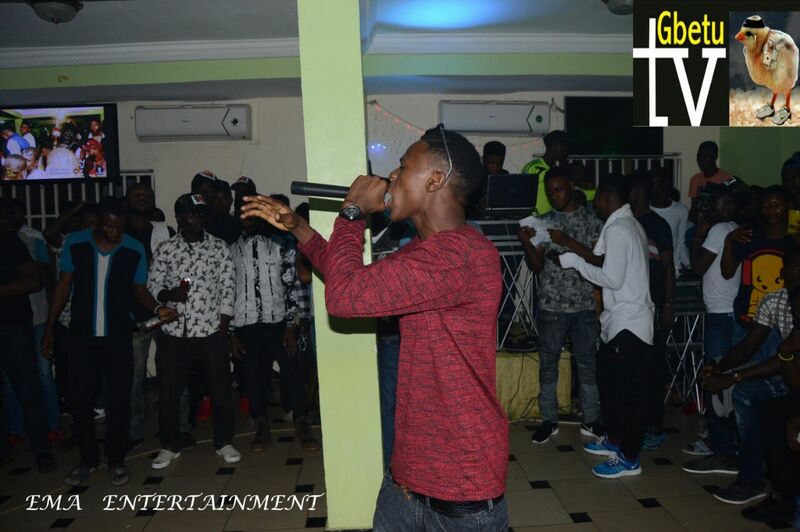 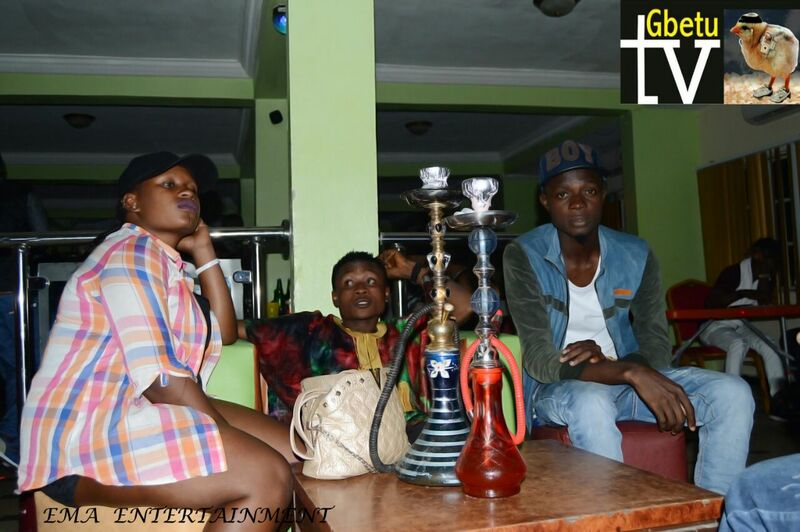 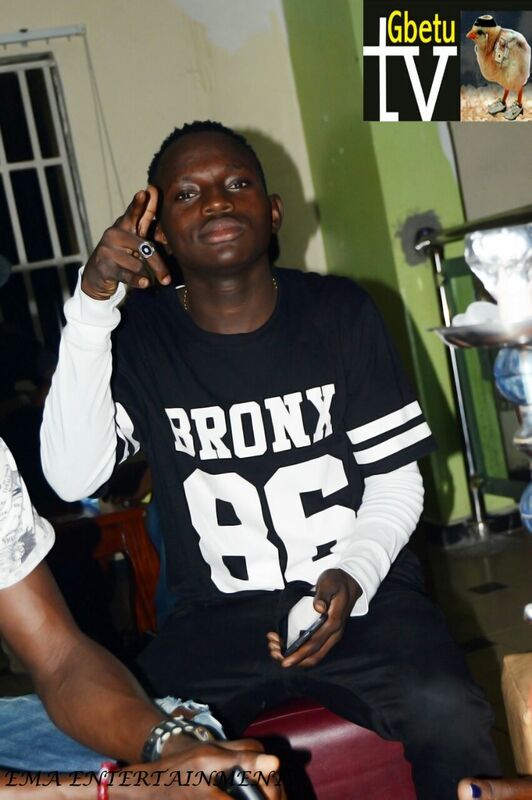 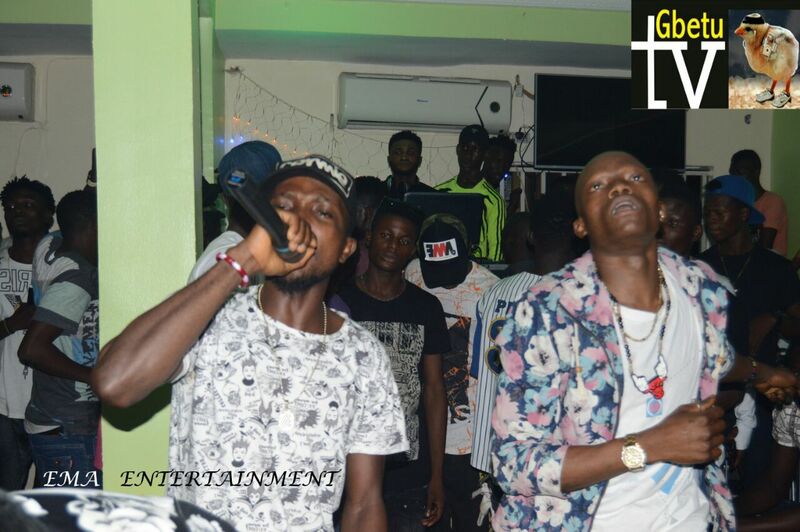 At the event, artist lineup and turn up was massive, amongst was Yomite, Teddy T, Erepadowo, Jay-Bond, Train, Da Blaze, Ty-Style, Amalah, Sugar-K, Monjazzy, Baby Law, Vino, Kelly Wise and the Mafia Gang, which consist, C Black, Idowest and Abram Soul while the Dj supporting was Dj Kelly. 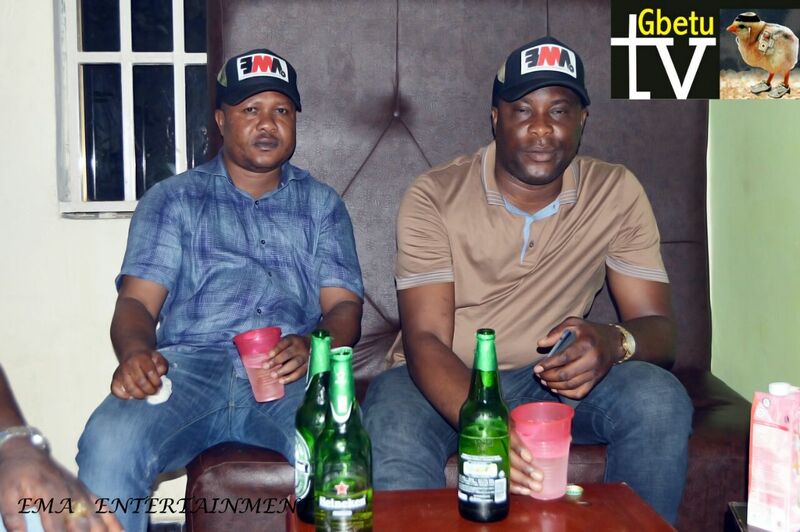 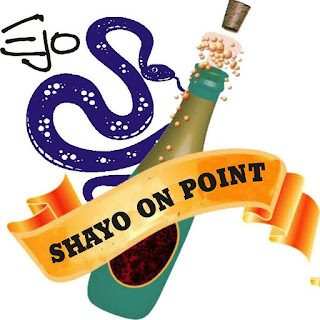 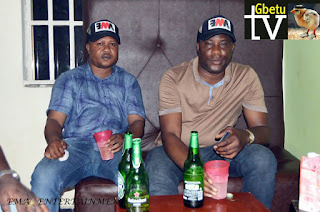 This event was highly supported by elders and giants of the community, notably are Babatunde Muritala, best known as Murilion and Odusoga Olasupo Adedayo, best known as EjoBoss, one of the finest supplier of liquor in Lagos. 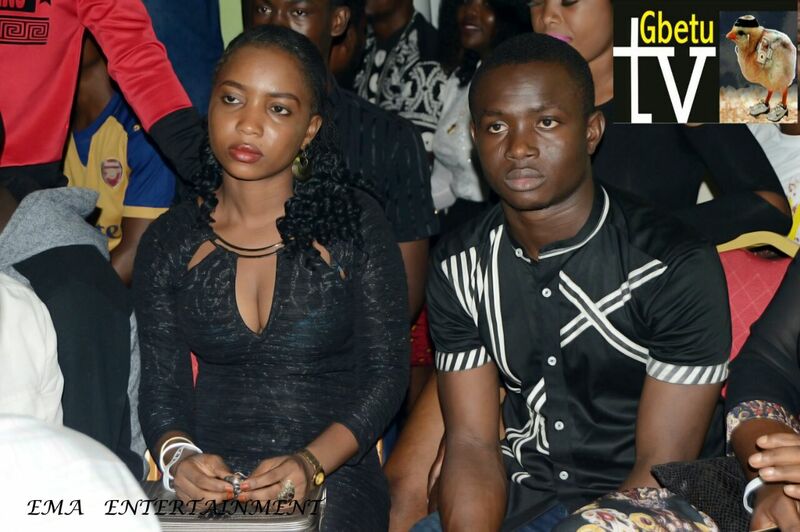 Also the Queen of Mainland South-West, Veronica Agbor was there to support. 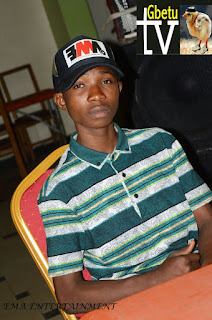 According to Muritala, supporting events like this gives them joy, though not so exposed to this kind of entertainment, the think it is best to support those that understands it and are willing to take it to the next level. 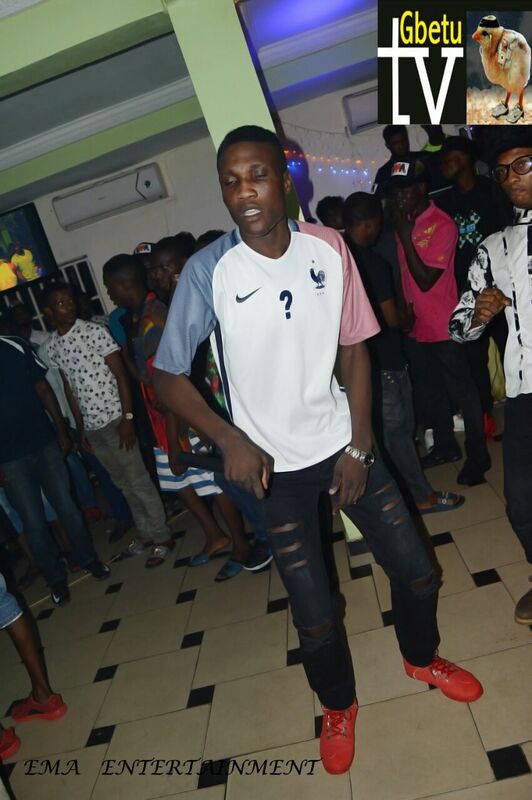 He also thinks more inspirations and 'kicks' like this will reduce the crime rate and bring development to their community. 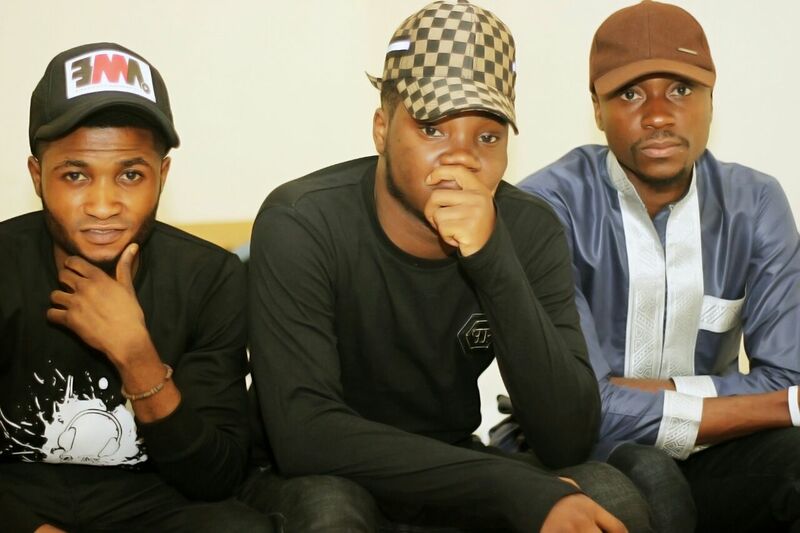 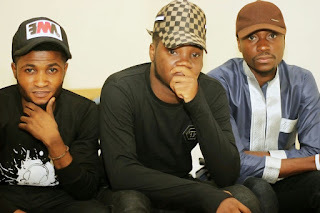 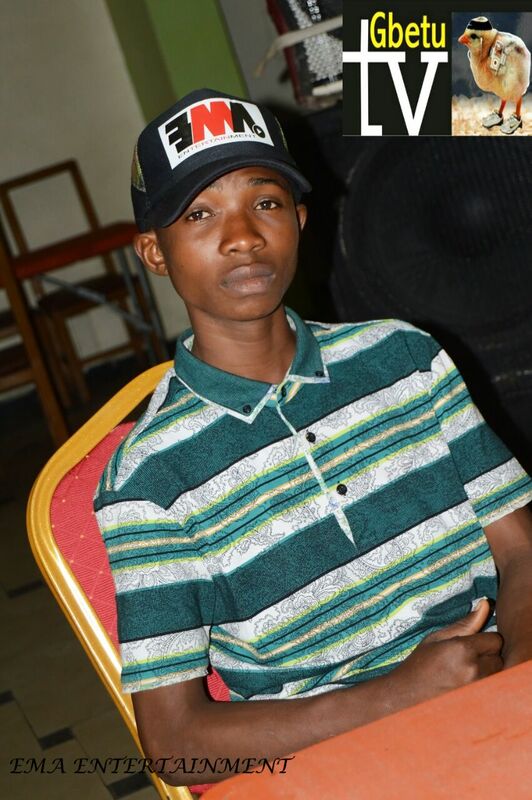 It must be noted that Lagos Island has produced stars like Konga, General Pype and still trending ones like Vector, Slimcase and Legely and topnotch DJs like Troy, Kelly and international Sleek Dj Mayz. 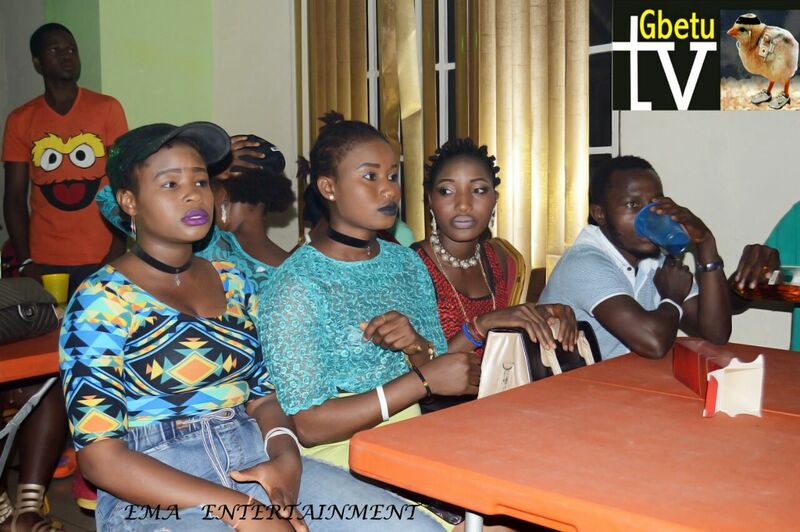 Enjoy photos from event below.